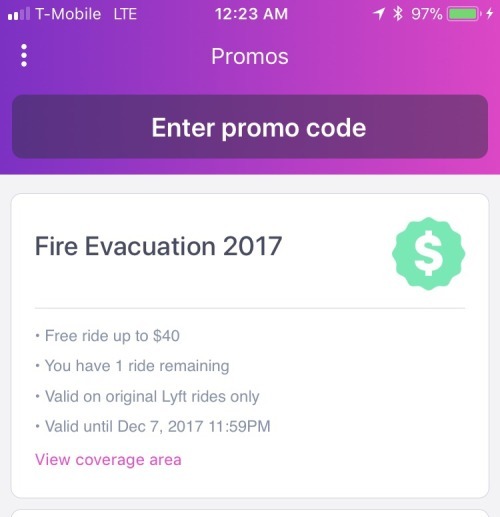 If you are evacuating in LA due to the wildfires, Lyft is offering free rides if you type in the code LASAFERIDES. I typed in the code myself and it’s valid until December 7th at 11:59. Don’t forget that a lot of people don’t own a car, so this information is vital to someone’s safety.